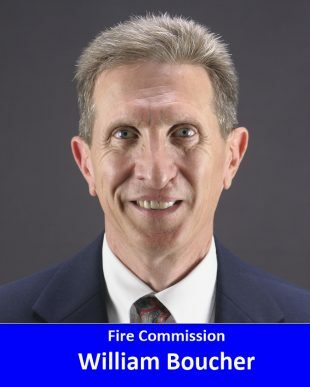 I am running for Fire Commissioner because I believe that as a member of the community it is important to give back to that community and I feel that my unique set of skills and knowledge provide me with the ability to assist in the administration of our Fire Department. I served in the United States Coast Guard. I received a B.S. in Social Systems and Policy from the University of Hartford and a Masters in Public Administration from the University of New Hampshire. Currently, I am currently employed by the Department of Consumer Protection. I have been a member of the Connecticut Police & Fire Union for 30 years and have served as its President, Vice President and Secretary/Treasurer. I have been a resident of the town since 1999 and currently serve on the Parks & Recreation Commission. I have previously volunteered as a coach and assistant with the Suffield Little League, Suffield youth soccer & basketball programs and the Northern Connecticut Girls Softball League. The Suffield Fire Department has a strong tradition of keeping the residents of our town safe and providing exceptional public service and I believe that I could be an asset in continuing that tradition. While working within the fiscal constraints of the town, I would like to see additional training opportunities, improved communications and the latest safety equipment provided to both the full-time members and volunteers of the Department who sacrifice their time, health and safety, in serving the community. I welcome the opportunity serve as a member of the Suffield Fire Commission and look forward to working with the residents of the town, the First Select Woman, other members of the Commission, the Fire Chief, the full-time firefighters and volunteers of the department, to serve the Town of Suffield. I believe the no person has all of the answers, but by getting input from all interest parties, treating each other with mutual respect and working together, we can find solutions to any problem. I would appreciate your vote on Election Day and look forward to continuing my service to you.